The post Domestic Violence Pet Lovers Find a Safe Place by Nancy Hassel appeared first on Dogster. Copying over entire articles infringes on copyright laws. You may not be aware of it, but all of these articles were assigned, contracted and paid for, so they aren’t considered public domain. However, we appreciate that you like the article and would love it if you continued sharing just the first paragraph of an article, then linking out to the rest of the piece on Dogster.com. The statistics are staggering when it comes to women living in domestic violence situations, and often those women have kids and pets. Nearly 50 percent of women stay in scary and abusive living situations because they think they have no shelter to go to if they have pets. Or they fear what would happen to their pets if they did leave them behind. This happens daily across the country. Times are changing with the recent passing of the PAWS Act (Pets and Women Safety) as part of the Farm Bill in late 2018. What the PAWS Act does is expand on existing federal protections for victims of domestic violence to include their pets and establish federal grant programs to assist victims in finding a shelter that is safe for their animals. There are also some truly amazing organizations and shelters now changing the way and paving a new path for anyone literally fleeing for their lives with their family pets. 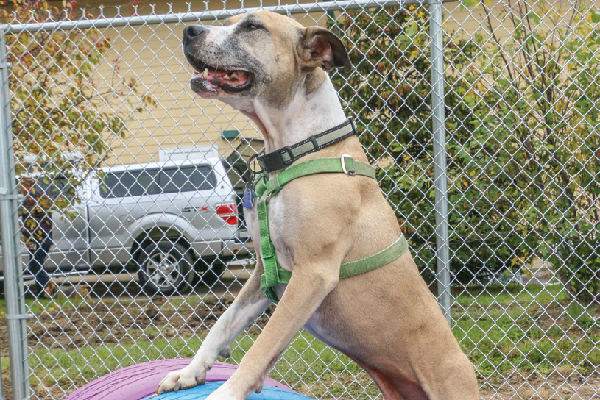 Survivor dogs playing in the new play yard with new agility equipment built by RedRover and GreaterGood/Safe Haven. Photography ©Stacia Grossman. 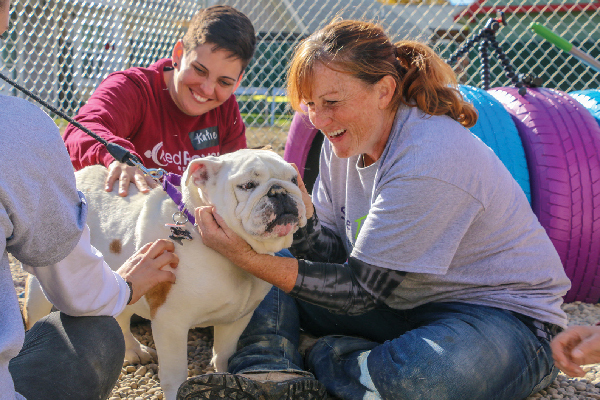 In California, the incredible RedRover organization offers a few different programs, from disasters or neglect to domestic violence victims seeking safety with their pets to helping animals with life-threatening illnesses. At the end of 2018, the organization announced awarding more than $120,000 in grant funds to 10 domestic violence shelters nationwide. These grants enable the shelters to create on-site and off-site space to house pets through RedRover’s Safe Housing Program. If you are a victim of domestic abuse and a pet owner, please look into these places on the website, as there is help. There may even be a local place near you that will help you, your kids and your pets be safe. PALS Place’s inside and outside facilities were created to welcome domestic violence survivors and their pets. Photography ©Stacia Grossman. One new safe haven is in Brooklyn, New York. 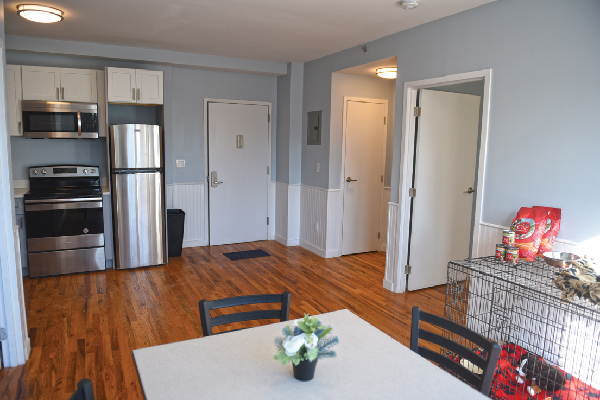 In October 2018, the Urban Resource Institute (URI) held the grand opening of PALS Place — the nation’s first-ever entirely pet-friendly domestic violence shelter of its size, specifically designed for survivors and their pets to live together in the same apartment unit. 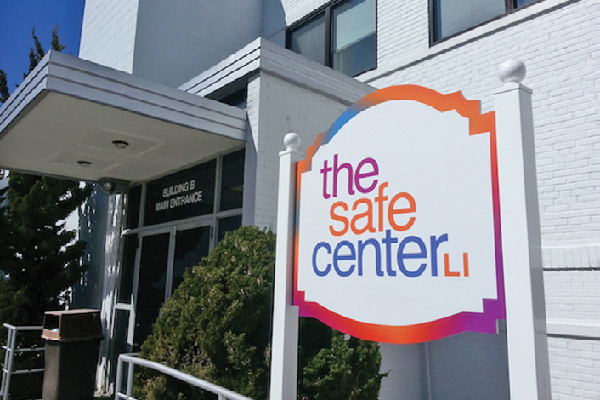 URI is the largest provider of domestic violence services in the country. PALS Place was conceived and designed with the welfare of pets in mind. 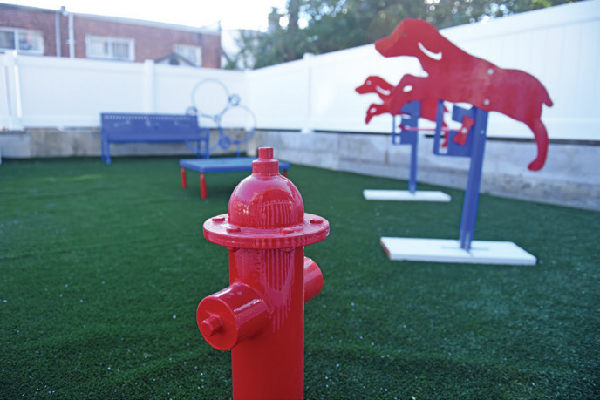 The shelter is constructed and outfitted with pet-friendly materials, furniture and color palettes, plus features a grooming station and an on-site outdoor Pet Haven play area. The shelter will also provide residents with special animal-centric events and programming unlike that of any other URI shelter. Learn more about the PALS program at urinyc.org. The Safe Center working with the Nassau SPCA and Pioneers for Animal Welfare Society will not refuse anyone a safe haven no matter what type of pet she has. Photography ©Stacia Grossman. I recently went to the Nassau SPCA and Pioneers for Animal Welfare Society Inc. (PAWS) meeting to learn about The Safe Center in Nassau County, New York, and how it helps people and their pets. This incredible team of different departments works together to offer help for people and their pets to get out of awful domestic violence situations. The Safe Center will not refuse anyone no matter what type of pet they have, from horses to cats and dogs, birds and so on. The Safe Center works with the Nassau County SPCA, so if someone does come to the shelter, let’s say with a horse, a placement will be arranged for the horse, while the fleeing family members stay at the center to get back on their feet. If they have small animals, they can often stay at the center with their pets. It was very impressive to hear how each agency works together to help people and pets in Nassau County, something I would love to see in every county. Learn more about services at tscli.org. Find out if your town, city or state has any pet-safe programs that accommodate people fleeing from a domestic violence situation. If not, contact one of the organizations in this article and see how you can get one started. Even if you haven’t been affected by domestic violence, you more than likely know someone who has. You can also look at the Animal Welfare Institute’s website for additional places to seek help: awionline.org/safe-havens. Thumbnail: Photography ©IanaChyrva | Getty Images.